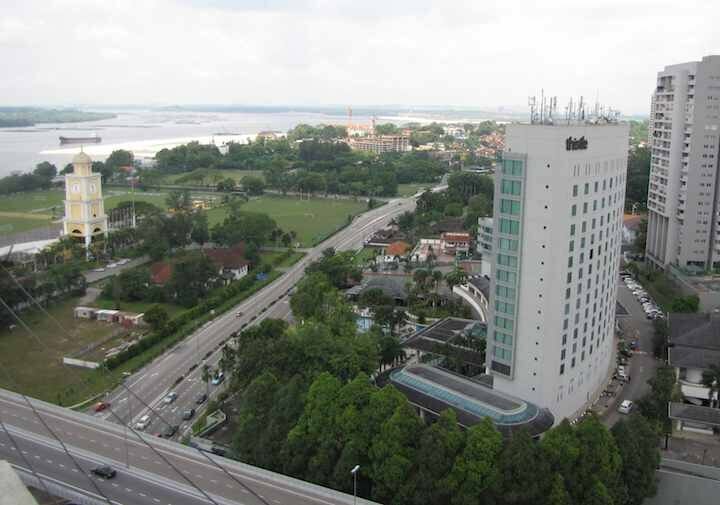 Pangsapuri Sri Samudera, Seaview Residence Suites, are located in the vicinity of Thistle Hotel and Indah Samudra Condos. A 2nd tower in nearing completion (2014). 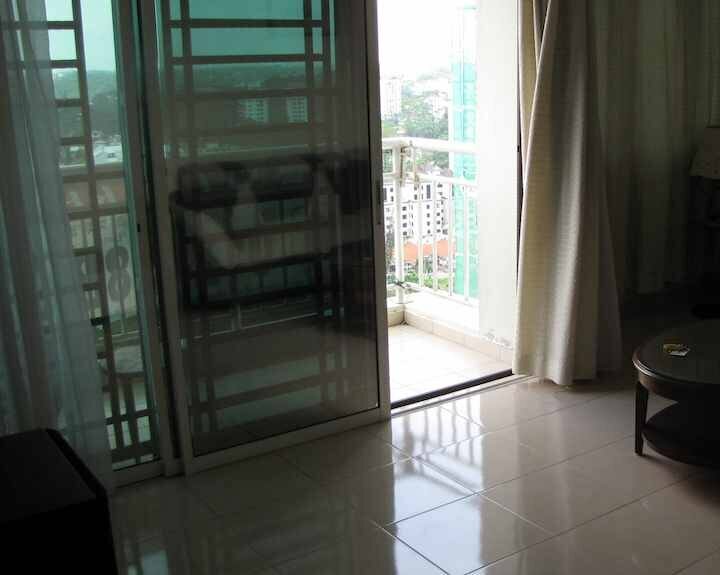 The units in the original tower offer a bit less luxury than the units most expats are interested in. The view from some units is quite nice, but only a few have a view nearly as good as this. The pool is small and was quite dirty when I visited. I doubt it was getting much use. 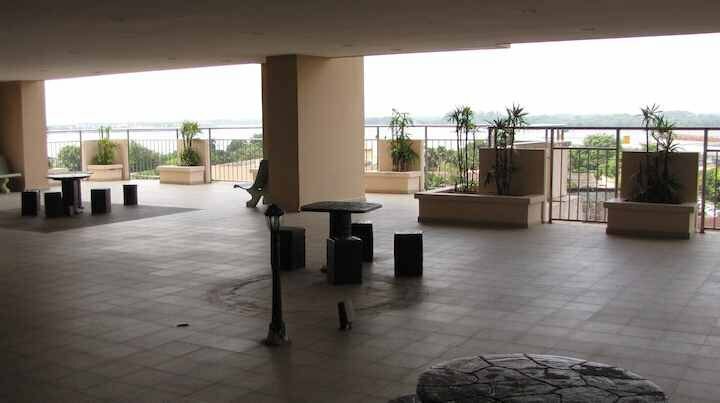 That level of the condo also has a small children’s play area and outdoor seating. It has potential to be a nice place to sit. The living room has a small balcony (I think this is only for some units). The units are fine but a bit old fashioned and the elevators are very slow and probably not enough for the number of people they service. 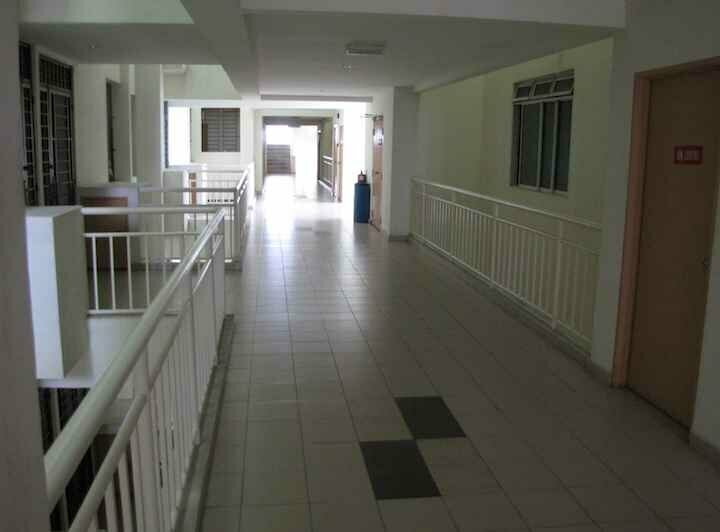 Many people likely work at the large Hospital Sultanah Aminah right next store. There are several places to eat in easy walking distance. Typical floor common area with something like 10 condos on each level. 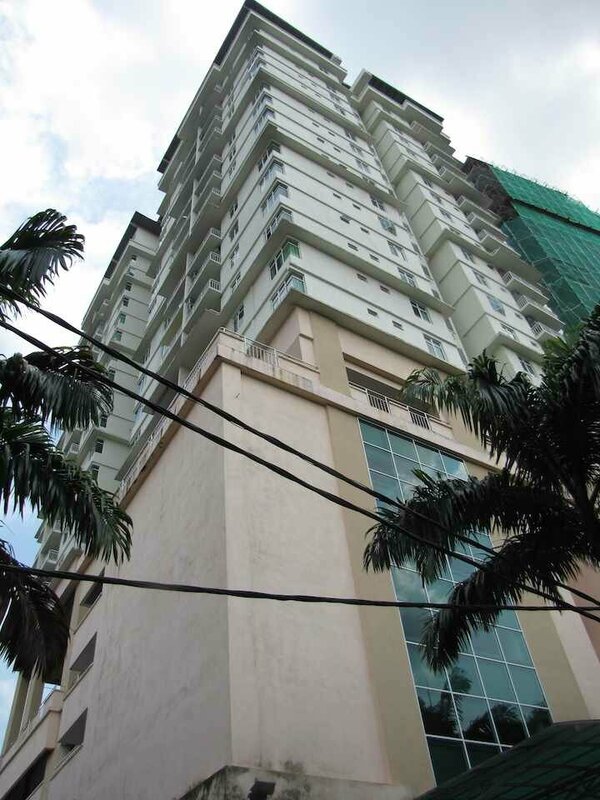 Rent should be from about MYR 1,700/month (600 square feet) to MYR 3,000/month (1,373 square feet), though really a you can probably bargain and get a lower rate (unless the demand from hospital workers keeps the prices higher than other similar condos. 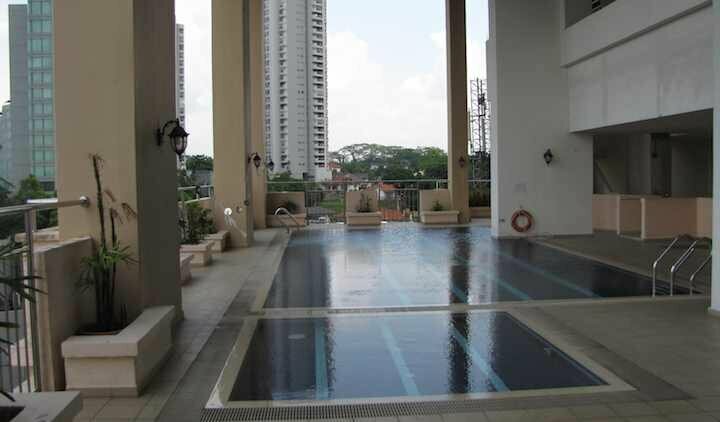 Units might sell for around MYR 350,000 to over 1,000,000. It seems to me the new condo has completely blocked the view of the condos in tower 1 that only had a view looking north. That is something you will have to check by going to look in person.